Recom produces PE recycled resins from plastic waste collected across Saudi Arabia for Middle Eastern and African plastics converters. Recom, a division of Uniplast, collects more than 400 MT/month of non-biodegradable PE waste for regeneration into recycled pellets. This initiative was undertaken with the philosophy that economic sustainability is directly related to ecological sustainability. Recom leverages on its place within Napco group of companies to secure waste from its sister company plastics converting facilities in Jeddah and Dammam. It also collects from sister company customers, as well as other Saudi manufacturers of food, soft drinks, mattresses and other goods. 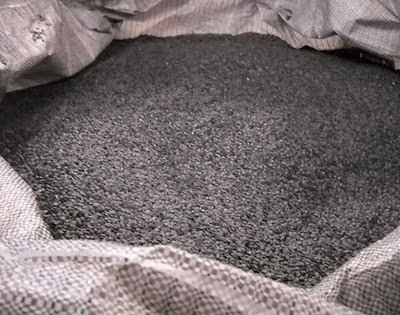 Recom's recycled granules are available in white, black, grey and clear. The division's production capacity of 600 MT/month of moisture-free recycled LLDPE and LDPE serves different purposes and applications, including injection molding, pipe extrusion, and blown film and other applications for Saudi Arabia, the Middle East, and Africa. Recom's waste collection team visits suppliers daily to pick up waste, based on a quarterly contract agreed upon between both parties. At Recom, waste passes over a weighing bridge to acquire the net weight of the load. The Recom warehouse keeper receives the collected waste and moves it to the plant baler section. Workers sort waste into different categories, such as clear, colored, heavy print, and solid (clog/lumps) waste, then bale and label it. Plastic film is then shredded and solid waste crushed. Recom's extruder is equipped with an inline washing and drying system that cleans dirt from the plastic film before the extrusion phase starts. After being washed, the plastic waste is re-processed into recycled PE granules of varying grades. Resins are packed in PP woven bags, 800 kg/bag, and shipped to clients. Other recycling efforts are underway in Saudi Arabia. In March, for example, King Abdulaziz City for Science and Technology (KACST) announced a plan to build a pilot plastics recycling plant together with IBM. The plant will use recently discovered organic catalysts to break down PET. Recom and Uniplast are Napco companies and members of INDEVCO Flexible Packaging, a division of the multinational INDEVCO Group. Interested parties can request quotes and samples of Recom recycled PE granules.